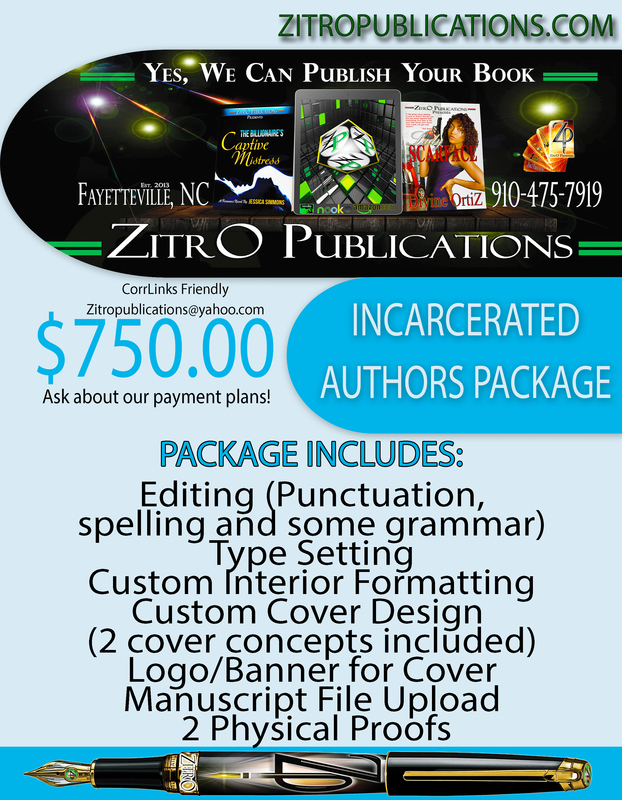 This special package price is ZitrO Publications' way of showing love to our incarcerated authors who otherwise may not be able to afford a traditional package. 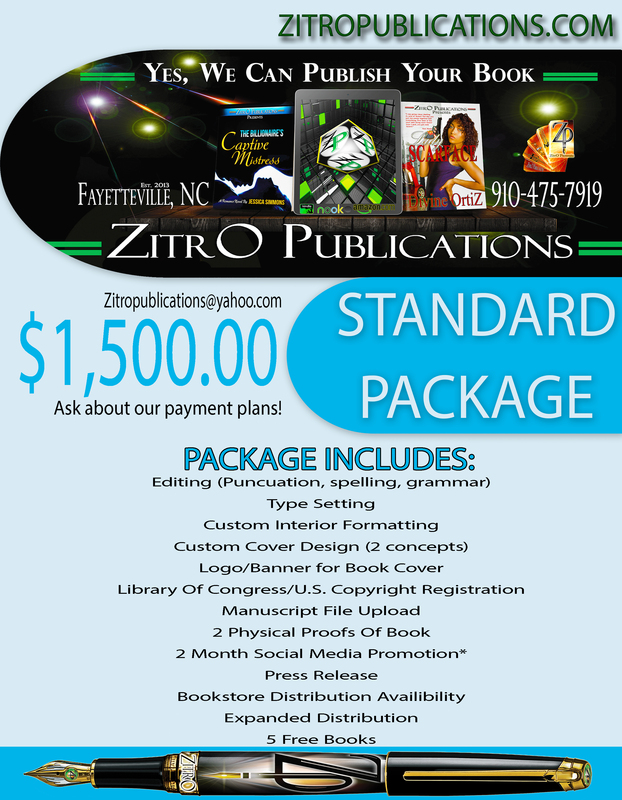 Our Standard Package has exactly what you need for you to become a published author! 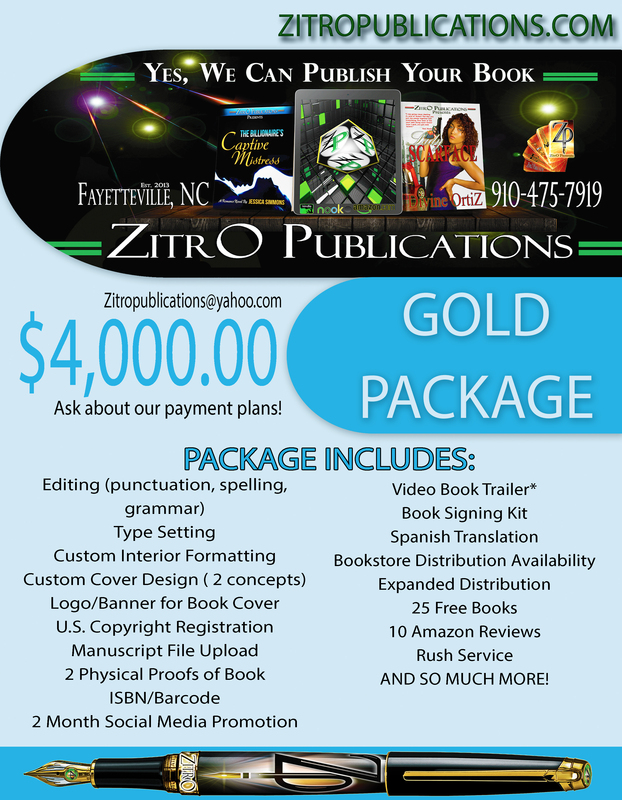 Our Gold Package offers the same great services as our Standard Package, all the perks from our Silver Package and all of the extra services and benefits ZitrO offers to take your writing career to the top! 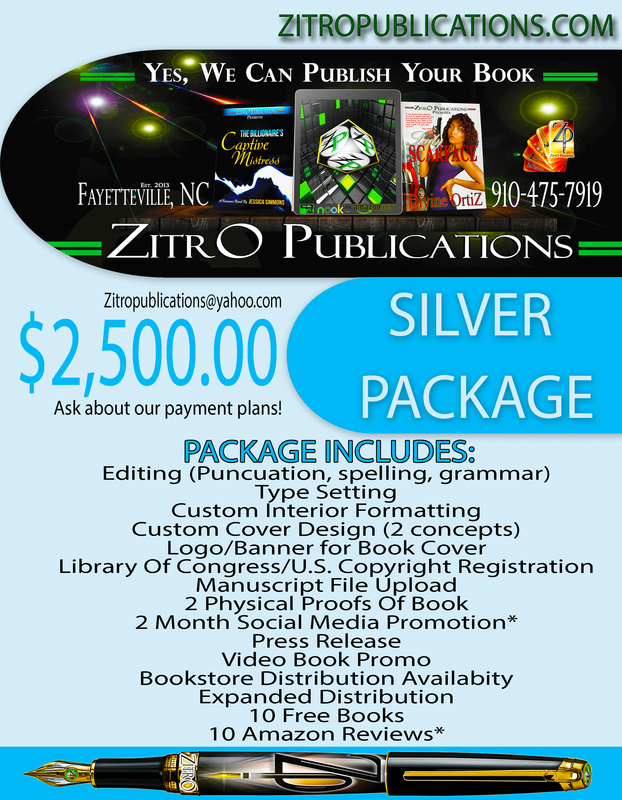 Our Silver Package offers the same great services as our Standard Production Package with some extra benefits to get your writing career started!